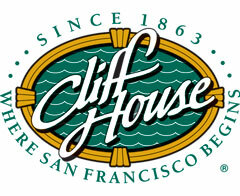 Since 1863 the Cliff House has been famous for fine food, awe-inspiring ocean views, and historic ambiance. 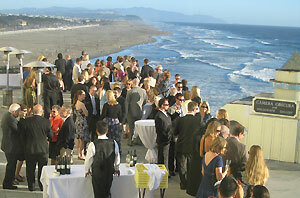 The Cliff House features the casual Bistro Restaurant offering San Francisco classics for breakfast, lunch, and dinner; the elegant Sutro's at the Cliff House serving fresh seafood, and locally grown produce for lunch and dinner; and a delightful Sunday Champagne Buffet in the Terrace Room. Reservations can be made for groups of 17-120. Cancellation and Refund Policy: Nonrefundable or 72 hrs.